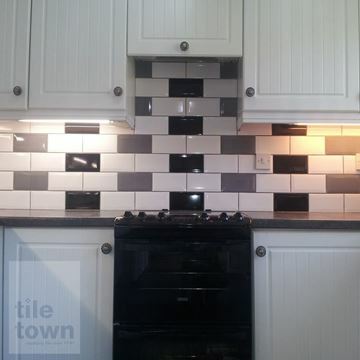 Can’t decide which colour tile to go for? Well then, maybe you don’t have to pick - be greedy, be bold, try a mix! Two or more colours or patterns has the potential to make a bathroom, kitchen or wherever else you want tiled, really stand out to friends and family alike. 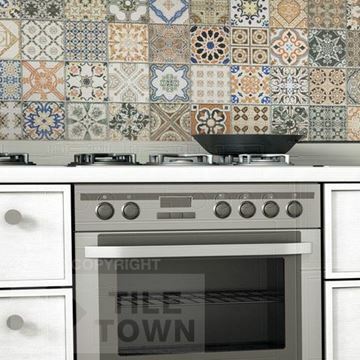 We eat, breathe and sleep tiles here at Tile Town - we love tiles of all colours and designs. More than one colour also gives you more choice when it comes to choosing furnishings and accessories for the room. Do something different and create a room which really reflects you and what you love. 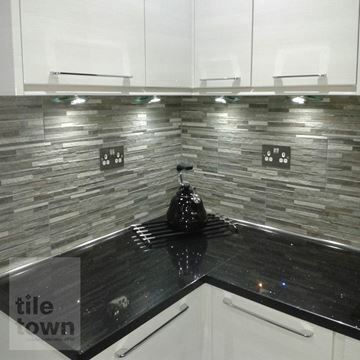 We love to treat interior design like a project and tiling is such an important part of the room. Don’t rush into this, we want you to be able to have a good look at our range and really mull it over. Have a chat with one of the team and we’ll work out how to achieve what you want. We’re really proud of our range because it’s full of beautiful, high-quality tiles that offer a lot of options when it comes to colours and designs. We always strive to give you choice and variety, so that you have the best possible chance of finding the perfect tile for your room. Our catalogue of mixed colour tiles ranges from more subtle mixes of cream and sand, to the bolder brown and white, to the truly stunning provenza mixed pattern walling. 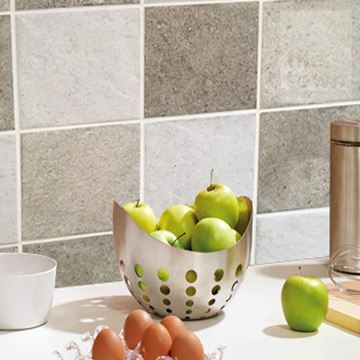 We want you to feel a sense of pride when you or your guests walk into the kitchen and see these beautiful tiles on your floor or walls. In terms of material, our range includes both porcelain and ceramic tiling, with a range of different finishes, such as gloss and matt. Ceramic and porcelain have their own advantages and disadvantages, depending on what you wish to do with them. 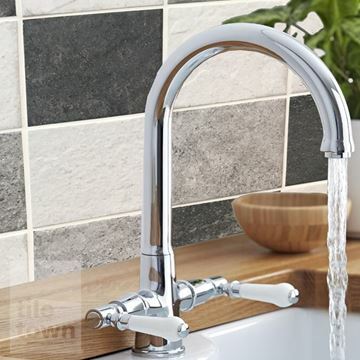 Ceramic is generally less expensive than porcelain, but also less hard-wearing and durable. 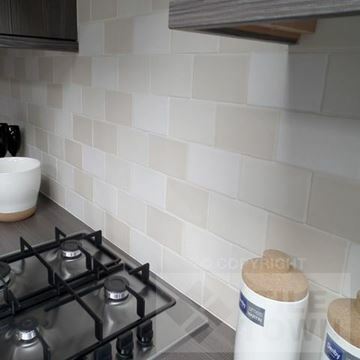 This is because porcelain is more dense and less porous, but this doesn’t mean that ceramics aren’t more than durable enough to be flooring or walling in your kitchen or bathroom. 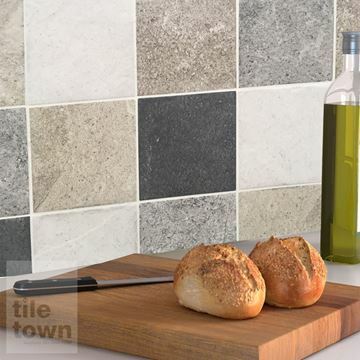 Choose the tile that’s going to help you achieve your dream room - that’s what we always advise, here at Tile Town. 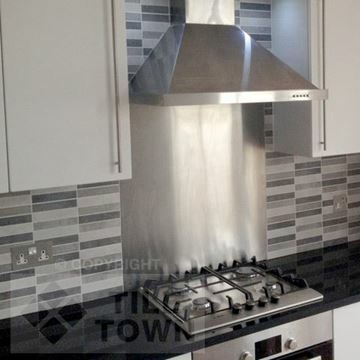 We only ever hire people who we know are as passionate about tiling and interior design as we are. We care about what you want to achieve and we’ll do everything we can to help you do it, whether you’re calling us up, dropping us an email or coming by the Tile Town showroom (we recommend the last option, it’s always good to see, touch and even smell the tiles in person before you buy them). Our staff are also picked based on their friendliness and helpfulness. They like to chat, and will gladly talk to you about any queries you’ve got or issues you’re having. We love a good plan and we want to help you devise the perfect kitchen or bathroom for your home.